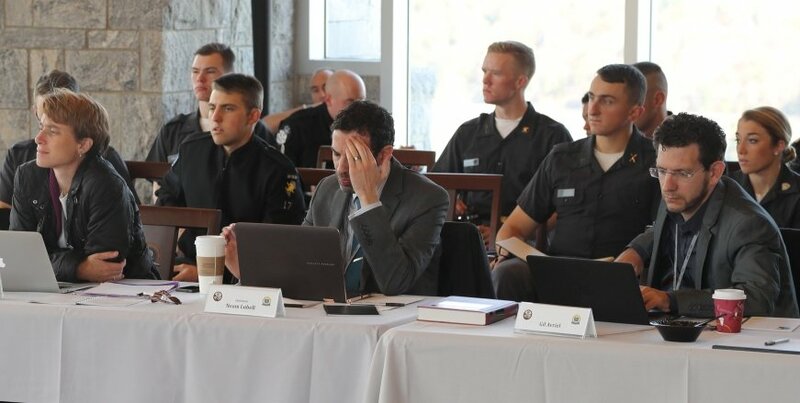 The Lieber Institute is committed to fostering a deeper understanding of the complex and evolving relationship between law and land warfare through global academic engagement and advanced interdisciplinary research. The Lieber Studies Series provides students, scholars and practitioners with in-depth analyses of prevailing legal issues related to warfare in the 21st Century. 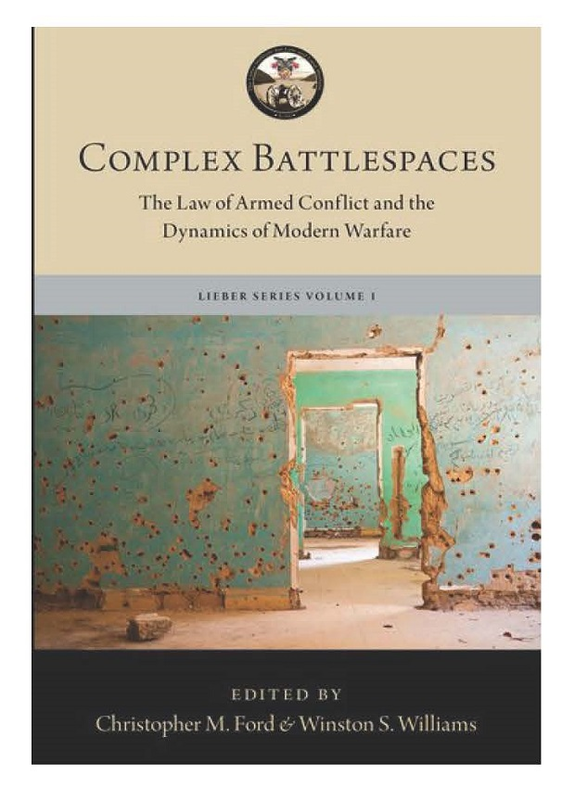 Volume 1 - Complex Battlespaces (Christopher Ford & Winston Williams eds., Oxford University Press, 2018). Volume 2 - The Impact of Emerging Technologies on the Law of Armed Conflict (Eric Talbot Jenson and Ron Alcala eds., Oxford University Press, forthcoming 2019). Volume 3 - Unlawful Belligerency, Robert McLaughlin (Oxford University Press, forthcoming 2019). Participants and Cadet audience members at the 2016 Complex Battlespaces Workshop.